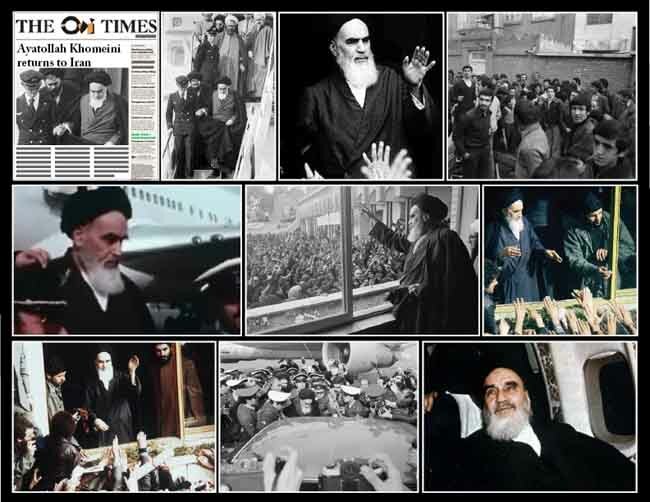 On February 1, 1979, the Ayatollah Khomeini returns to Iran in triumph after 15 years of exile. The shah and his family had fled the country two weeks before, and jubilant Iranian revolutionaries were eager to establish a fundamentalist Islamic government under Khomeini's leadership. Khomeini arrived in Tehran in triumph on February 1, 1979, and was acclaimed as the leader of the Iranian Revolution. With religious fervour running high, he consolidated his authority and set out to transform Iran into a religious state. On November 4, 1979, the 15th anniversary of his exile, students stormed the U.S. embassy in Tehran and took the staff hostage. With Khomeini's approval, the radicals demanded the return of the shah to Iran and held 52 Americans hostage for 444 days. The shah died in Egypt of cancer in July 1980.